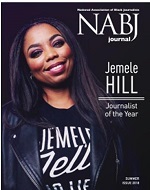 An NABJ Awards event may be held as an integral part of the National Convention to honor those who have exhibited journalistic excellence. In addition, those students who have been awarded NABJ internships and scholarships may be recognized at the convention. Other awards events honoring journalists who have maintained high journalistic standards and exemplify the organization’s goals may be held as approved by the Board of Directors. The official news organs of the organization shall be the NABJ JOURNAL and the NABJ Update. The Student Council shall consist of one voting student on the Board of Directors and a non-voting student representative from each Region. The student member of the Board shall preside over all sessions of the Council. The Council shall meet at the annual National Convention and may meet at other times. Each NABJ student representative must hold student membership in the NABJ. Students in each Region elect a representative to the Student Council; or where no such election takes place, the Regional Director appoints that representative. The Student Council shall select one representative and a deputy to be presented to the membership for election as a student member as the Board of Directors when other officers are elected. The Student Representative to the Board of Directors shall serve as a liaison between the Board and the Student Council and all student members of NABJ. The student deputy shall act as Student Director serving in the Student Representative’s absence. Each Student Council member shall serve as a liaison between the Regional Director and the students in his or her Region. The Student Council shall perform such other duties as may be assigned to it by the President, the Board of Directors or the Constitution and Operating Procedures of the organization, or those that may be initiated by the Council if consistent with the goals and ideals of NABJ. Order the disbursement of the funds of the organization as directed by the Board of Directors. Exercise general supervisory powers over the work of the other members of the Board of Directors. Receive a semi-annual report from each of the Executive Board members, which gives an account for the preceding six months and plans for the ensuing six months. Require from Regional Directors, at least semi-annually, reports of their work, which shall include statements of the activities of each chapter in their Regions. Request and require such additional information from the Board of Directors or members as deemed necessary to operate the organization effectively and efficiently. Provide a full report of the administration and make such recommendations as deemed appropriate for the good of the organization at the annual National Convention. The membership shall consider such recommendations at the Convention before the elections, if there be any. Appoint chairpersons and members of the standing committees as well as create any ad hoc committees deemed necessary. He or she shall remove inactive chairpersons and members. Be an ex-officio member of every committee. Serve as coordinators of all committees, shall see that the committees function and shall provide the Board of Directors with a periodic report of progress and work being performed by the committees. Perform such duties as are assigned to them by the President and the Board of Directors. Keep an accurate account of the proceedings of the annual National Convention, send a Convention report to each member of the Board of Directors within 60 days after the close of the Convention and file a copy of that report with the National Office. With the help of National Office staff, take minutes at regularly scheduled Board of Directors meetings; ensure that the proceedings are tape recorded and archived for seven years. Give a report during the annual National Convention of all matters referred by the preceding Convention, the Board of Directors or ad hoc committees. Perform such secretarial duties of the Board of Directors as may be necessary at the direction of the President. Be bonded to the organization in a sum sufficient to cover the probable amount of funds he or she might be called upon to handle during the term of office. Receive and account for all funds of the organizations. Disburse the funds of the organizations on order from the President and/or the Board of Directors. Should any disbursement of funds appear to be unlawful, the Treasurer shall submit the question of the legality of such order for the vote of the Executive Board, and he or she shall follow the course outlined by the majority vote of the Executive Board. File the annual incorporation papers of the NABJ. Report all income and expenditures, using generally accepted accounting principles, to each annual National Convention in an uncomplicated form, at each quarterly Board of Directors meeting and such other times as the Board of Directors may require. Perform such financial duties of the Board of Directors as may be necessary at the direction of the President. Advise the President and the Board of Directors on all interpretations of Robert’s Rules of Order and the NABJ Constitution and Board Operating Procedures. Interpret the NABJ Constitution and Board Operating Procedures when requested by the membership, whether at an annual National Convention by any Board member of any committee chairperson. 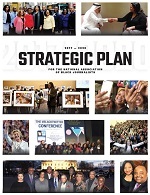 The Regional Directors shall be charged with the responsibility of supervising and directing the various affiliate chapters and members of the NABJ within their jurisdictions, working with the Board in such manner as the President shall direct and perform such other duties as outlined in Board procedure. In the event that the full-member status of a board member changes, as a result of career change or loss of employment, and where that board member is not grand fathered in as a full member from this or a previous Constitution, it shall be up to the Board to determine whether that member may complete his/her term on the Board. The Board also may make the same determination regarding the Student Representative to the Board and/or members of the Student Council, who attain full-member status as a result of employment and who have exceeded the six-month extension of student status. If the President cannot complete his or her term of office, the succession to the presidency shall be the first Vice President chosen by the Board of Directors, based on who received the higher number of votes. Then, the succession shall be the remaining Vice President, Secretary, Treasurer and Parliamentarian. If that succession has been exhausted and another person must become the organization’s chief executive, the remaining members of the Board of Directors shall elect a Chief Executive Officer until the next annual National Convention. If a Regional Director is unable to complete his or her term of office, the Deputy Regional Director becomes the Regional Director. If the Deputy Regional Director does not want the position or if there is no Deputy, the President appoints a successor to fill the post for the remainder of the term. When any other national officer is unable to complete his or her term, is disabled, or fails to properly perform his or her duties, the President shall appoint a successor. The election of officers of the organization shall be by secret ballot. The candidate receiving a plurality of ballots in each race shall be declared elected. Any member seeking a national office must state that intention in a letter to the Executive Director at least 120 days prior to electoral conventions. The National Office must notify the membership of the prospective candidate(s) at least 60 days before the Convention so that closed mail ballots can be accepted from paid NABJ members. Mail ballots must reach the National Office no later than 3 week before the convention. In cases of withdrawal or death of candidate, all votes for the candidate become null and void. Voting may be conducted by mail, electronic or on-site balloting. The membership renewal deadline for voting shall be the same as the advertised pre-registration deadline for the annual convention. In the event that an election ends in a tie, a re-vote shall occur within two weeks of the end of balloting at the annual convention. The re-vote shall be conducted by electronic balloting only and include those members eligible to vote by the membership renewal deadline. In any region without a declared candidate for regional director the region shall have the option to recommend a candidate during its regional caucus at the National Convention. The new National president shall appoint that region’s director. Proposals calling for the resignation or the removal of a national officer will be reviewed by the remainder of the Board of Directors without the accused officer. However, if the accused officer chooses, he or she may designate two members to attend such a review. A vote of two-thirds of the Board shall be necessary to approve a Board recommendation to impeach and remove an elected officer. National officers may be removed from their respective officers for cause when half of all affiliate chapters or half of all Regions or the Board of Directors, by a two-thirds vote, initiate removal proceedings. When a majority of affiliate chapters or Regions or the Board of Directors vote to remove a national officer removal proceedings shall begin. A notarized petition shall be served by certified mail on the accused officer, as well as filed by the Executive Director and/or President and every other member of the Board of Directors, setting forth the charge(s). Once served, the accused may be represented by an attorney of his or her own choice. The accused shall file an answer to the petition with the Executive Director and /or the President by certified mail, as well as other Executive Board members, within 20 days from the receipt of same. If the accused fails to file an answer, the Board of Directors shall proceed with its functions as if a denial had been filed. The Board of Directors shall investigate and review the charge(s) set forth in the petition, determine whether cause exists and notify the petitioner and the accused of its decision within 30 days after the Executive Director and/or President and the Board of Directors receives the petition. If a simple majority of the membership at the business meeting at the next annual National Convention informs the Executive Director and/or the President of its desire to hear the matter, the membership shall have the opportunity to consider the matter and vote on it at the meeting. If a majority of the Board of Directors finds cause, it shall hold a closed-door hearing at its next Board meeting to determine the matter. If it finds probable cause, the Board of Directors may suspend the officer until the matter is resolved. The time between the receipt of the petition, the findings of cause and a final determination by the Board of Directors shall not exceed 120 days. The Board of Directors decision shall be distributed to all Board members and affiliate Chapters within 10 days from the date of the decision. The accused officer shall have the right to submit to the Executive Director and/or President a statement on his or her behalf to be distributed with the Board’s letter of determination. The Boards decision is final unless a simple majority of the membership overrules that decision either by mail ballot or at the next annual National Convention. The Executive Board, which acts as the personnel committee of the Board of Directors, shall have the authority to employ by contract competent person who, whenever possible, shall be a member whose title shall be Executive Director and whose duties shall be to operate the national headquarters of the organization under the supervision of the Board of Directors. The Executive Director salary shall be set by the Executive Board. The Executive Director shall be empowered by the Board to contract persons of suitable qualifications who, whenever possible, shall be NABJ members, as secretaries and other assistants subject to approval by the Executive Board. The Board of Directors shall determine the time and place of the annual National Conventions at least yearly or on a timetable to be determined by the Board. The Board of Directors shall provide for and conduct the business of the annual National Convention. Such matters as might be referred to it by Regional Directors. Such matters involving the purchase of property in the organization’s name. Section 2: No member of the NABJ Board of Directors, or an NABJ Committee, or any officer of NABJ (nor any member’s or officer’s immediate family), shall derive any financial gain, directly or indirectly, by reason of his or her participation within NABJ. Section 3:The Board of Directors shall elect at least one (1) city to host the annual convention each year to keep the organization five (5) years ahead in convention selection. Section 4:The agenda for the annual business meeting must be distributed prior to the meeting. Section 5: Board members who are unable to attend a meeting may convey their authority to vote on all matters to another bona fide board member who is present, who shall decide how to cast the proxy vote. The decision to convey a proxy to another board member must be communicated to the NABJ secretary in writing in advance of said votes. Section 6: The student representative is authorized to seek reimbursement for reasonable ground transportation expenses incurred while travel to Board of Directors meetings and other related Board business travel provided funds are available. Section 7: The Board of Directors shall annually consider affiliate chapter applications at its Winter and Spring meetings, provided the chapters have met all requirements for affiliation, effective Sept. 1, 2007. The Board of Directors shall meet at least four times a year. Special Board of Directors’ meetings may be called by the President or by a majority vote of the Board of Directors. The Executive Board shall have the authority to rule on an emergency measure in the absence of the full board. The President shall have the authority to rule on any emergency measures in the absence of both the Board of Directors and the Executive Board, but shall be required to inform the Executive Board and consequently the full Board, within a week of his or her actions. The Chairpersons and members of the National Committees shall be appointed by the national President with the consent of the Board of Directors and shall hold the same position for no longer than two consecutive, two-year terms, assuming he or she receives a second appointment from the national President. The Chairperson and members of the local affiliate committees shall be appointed by the local President with consent of the local governing body. Section 2: National Standing Committees National Standing Committees shall be comprised of no fewer than five members. No member shall be the chairperson of more than one Standing Committee. No member shall serve on more than two National Standing Committees, except those Executive Board members who serve as ex-officio members by virtue of their office. Membership: The Membership Committee shall be charged with locating new member, reclaiming former members and retaining current members, and shall formulate programs for this purpose. It also shall be responsible for evaluating all membership applications and affiliate Chapter applications. Programs: The Programs Committee shall be charged with developing and implementing programs for the annual National Convention. Awards: The Awards Committee shall be charged with developing and distributing criteria for awards in the various categories. The Committee shall be responsible for an awards program that shall be an integral part of the annual National Convention. Media Monitoring: The Media Monitoring Committee shall be charged with monitoring the national media for discrimination and other injustices to African Americans in their coverage and employment practices. It shall report to the Board of Directors and the membership issues of concern consideration. Constitution and Operating Procedures: The Constitution and Operating Procedures Committee shall be charged with consideration of any proposed amendments to the Constitution and Operating Procedures suggested by any member of the Board of Directors and Region and Chapter of any individual member. The Committee shall make recommendations on such changes to the membership for consideration in accordance with the guidelines established by the Constitution and Operating Procedures. Finance: The Finance committee shall provide financial advice to ensure that NABJ's Board of Directors successfully meet its financial goals. The committee shall also be available to provide financial advice and counsel to the President, Treasurer and Board of Directors, review and advise the Board on the annual budget, review spending and income quarterly, review quarterly to the membership and review and advise the board on the 1997 strategic plan. The committee shall be comprised of: The NABJ Treasurer, two former NABJ treasurers, two independent financial advisors and a top executive from a media company. Council of Presidents: The Council of Presidents shall develop effective chapter management, develop strategies for chapters to recruit and retain members, develop strategies to assist chapters in raising funds for scholarships and other award programs; aggressively recruit members to NABJ and work to reach a consensus and make recommendations on how mutual problems can be addressed and resolved within NABJ. Elections: The Committee shall oversee the election process and develop the rules which apply to it. The committee shall set candidate standards, rules, regulations and qualifications for nominations and regulations governing the process and arbitrate any disputes to that procedure. The Board of Directors will have the authority to supersede decisions of the election committee by a two-thirds vote of its members. Communications: The Committee shall be responsible for active development, implementation and execution of a communications strategy for the Association. The Committee shall submit reports at each quarterly Board of Directors meeting and such other times as requested by the Board. The Committee shall submit an annual statement of its activities to the Board of Directors at its annual meeting, and plans for the ensuing months. The Committee should hold at least one meeting per year to carry out its mission. The meeting may be conducted by telephone or electronically. The Committee must submit minutes of its meetings to the Board of Directors. The Committee shall perform such duties as assigned by the President and/or Board of Directors. The Committee chairman may be asked to attend board meetings. Once approved, a NABJ Task Force shall organize its internal structure with a Chair or Co-Chair. Bookkeeper shall be named for any dues for newsletters and administrative fees. Under no circumstances shall an NABJ Task Force raise or solicit money for the NABJ or itself without contacting the Executive Director, President and/or Treasurer of NABJ. A NABJ Task Force must submit the names of its officers to the National Office and Program Committee each time there is a change. All requests for convention programs, receptions and similar activities must be made and confirmed with the Program Committee and Executive Director of the NABJ. A NABJ Task Force need not apply for annual renewal. A NABJ Task Force must submit its membership list to the NABJ National Office; it may receive upon request, a list of members from the NABJ office who may be eligible for membership within its Task Force. The list shall be provided upon approval of the Executive Director and the NABJ President. A NABJ Task Force should alert the National Office and NABJ Board should it ever dissolve. The NABJ Board shall also reserve the right to dissolve any Task Force should the Board determine that the Task Force mission is inconsistent or detrimental to NABJ’s concerns. The Task Force shall submit reports at each quarterly Board of Directors meeting and such other times as requested by the Board. The Task Force shall submit an annual statement of its activities to the Board of Directors at its annual meeting, and plans for the ensuing months. The Task Force should hold at least one meeting per year to carry out its mission. The meeting may be conducted by telephone or electronically. The Task Force must submit minutes of its meetings to the Board of Directors. The Task Force shall perform such duties as assigned by the President and/or Board of Directors. The Task Force shall report all income and expenditures. The Task Force chairman may be asked to attend board meetings. The Membership shall be composed of the Board of Directors, Past Presidents, the Convention Chairperson, the Founders of the organization and all other members who are in good standing. Associate members shall be admitted to the sessions of the national membership to have a voice therein and to serve on committees, however, they shall not be permitted to vote or compose more than one-third of any committee. Those who are not full, associate, or student members shall be permitted to attend membership or Board of Directors meetings at the discretion of the President, but the membership and the Board of Directors shall have the final word at their respective meetings should there be a disagreement. The NABJ Founders shall be entitled to lifetime membership status. Persons who have served in the office of NABJ President, who have not been willfully removed from office, may be granted complimentary registrations to the annual convention. Conferences of one or more regions may be held, and shall be under the supervision of the National Office. The regional director(s) of the region(s) or duly designated deputy director(s) shall preside over the conference. Each Region shall select its own Regional officers. Actions at the Regional level that are not consistent with the goals and ideals of NABJ shall be subject to the censure and reprimand of the membership at large, at an annual National Convention, and meeting of the Board of Directors in the interim, providing that such decisions made by the Board of Directors may be appealed to the membership at the next annual convention. Special meetings may be called at the discretion of the President by a vote of the majority of the Board of Directors. Robert’s Rules of Order shall apply during all meetings of the NABJ membership or Board of Directors and interpretation of those rules shall be the responsibility of the Parliamentarian. Regional Directors shall submit budgets for Regional Conferences to the National Office no later than 45 days before the Regional Conference. Budgets must be accompanied by written estimates from vendors for the cost of goods and services associated with the Regional Conference. Contracts for meeting space, food and beverage, audio-visual and/or computer equipment, travel, lodging, and other expenses associated with the Regional Conference, must be signed by the NABJ Executive Director and President or Treasurer. Contracts signed by other persons will not be honored. In the event of emergency expenses that require out-of-pocket expenditures, a receipt must be submitted for reimbursement. Emergency expenditures shall not exceed $200. All moneys raised or collected for Regional Conferences, including registration fees, shall be made payable to the National Association of Black Journalists and forwarded to the National Office. The host chapter of a Regional Conference may receive up to 50 percent of the profits of the conference. If more than one chapter was involved in planning and executing the conference the Regional Director shall prepare a written report detailing the division of labor, volunteer efforts and/or other contributions of the host and participating chapters with a recommendation to the National Office. The report shall be submitted to the National Office and distributed to the host and participating chapters within 15 days after the regional conference. In the event of disputes over sharing of profits, the host and/or participating chapters may appeal in writing to the Executive Committee. The Executive Committee shall review the dispute and make a determination. Chapters may appeal the decision of the Executive Committee to the full Board of Directors. Each affiliate Chapter of the organization shall hold at least three meetings annually and those meetings shall be presided over by the Chapter President, Chairperson or other appropriate local officer. Each affiliate Chapter shall elect its own local officers. Actions at the Chapter level that are not consistent with the goals and ideals of NABJ shall be subject to the censure and reprimand of the membership at large, when at annual National Convention, and of the Board of Directors in the interim, providing that such actions taken by the Board of Directors may be appealed to the membership at the next annual National Conference. Deposit all incoming funds in a chapter checking account. Submit an annual audit to the NABJ National Office. Those chapters out of compliance with this directive will be on probationary status and subject to censure and reprimand by the Board of Directors. Effective June 30, 1998, all affiliate chapters must be incorporated. Those chapters out of compliance with this directive will be on probationary status and subject to censure and reprimand by the Board of Directors. The NABJ Professional Chapter Grant may be offered to professional and student chapter affiliates in good standing provided funds are available and in accordance with chapter grant procedures. Any chapter that is not in compliance within NABJ chapter leadership, national membership, audit and bonding requirements and other chapter guidelines annually commencing January 2nd may be dropped from the NABJ list of affiliate chapters. Student Chapter Fiscal Controls: Effective Aug. 15, 2006, all affiliate student chapters must adhere to the following financial controls. submit an annual audit to the national office. The compatability of the chapter’s constitution with that of NABJ is determined by the Membership Committee. The committee’s decision is final, unless overruled by a majority of the Board. The president and vice president(s) are full NABJ members. Further, international members are not part of NABJ’s U.S. regional structure. International chapter presidents can participate with the NABJ Council of Presidents and are to work closely with the NABJ Board member selected as liaison to international chapters. International members can only vote for NABJ national officers. International chapter members will be assessed an additional amount of money for postage and all fees paid to NABJ must be paid in U.S. Currency. Fees will be set by the NABJ national office. NABJ has the same power to censure and reprimand international chapters as it does its national chapters. (See Chapter 7: Article 1: Section 3). NABJ shall operate on a fiscal year that begins January 1 st and ends December 31 st.
NABJ dues shall pay for the NABJ Journal postage, a copy of the Constitution and Operating Procedures and such other material that the Board of Directors deems appropriate. Resolved: That a copy of the NABJ Journal shall be sent to each member of the National Association of Black Journalists. All dues and assessments are due and payable on or before the membership expiration date. Memberships of those not paid by the due date will be discontinued. The funds of the organization shall be overseen by the Treasurer until his or her successor has been duly elected and bonded, at which time all funds and other financial property of the organization – in the hands of the outgoing Treasurer shall be relinquished to his or her successor. A schedule of membership dues for NABJ once established may not be amended for a period of two years from the date of such dues schedule and such amendment cannot take effect in an election year. The Executive Director, National Officers, Regional Directors, Committee and Task Force Officers and any other individuals authorized to conduct business on behalf of NABJ must have the written consent of the Executive Director and President or Treasurer, for expenditures that exceed the budgeted amount of a specific program or activity. NABJ Staff must seek at least 3 competitive bids for any contracts for any goods and services costing more than $10,000. All Executive Director expenses must be approved by the President or Treasurer in the absence of the President. All of the President’s expenses must be approved by the Treasurer. Those Operating Procedures take effect immediately upon the approval of the Board of Directors. Proposed changes to these Operating Procedures shall be amended by a two-thirds vote of the Board of Directors.